The wildlife carer and her husband Jim had been feeding 30 kangaroos and wallabies at their property every night amid a severe drought that has depleted their food sources. 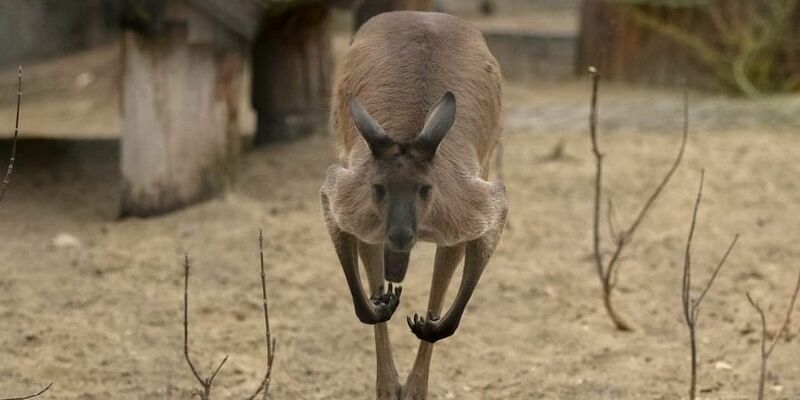 SYDNEY: Three members of an Australian family used a broom and a shovel to fight off a rare attack by a large kangaroo that left all of them injured, one seriously. Linda Smith, 64, suffered a collapsed lung, broken ribs, cuts and other internal injuries, and underwent surgery in a hospital on Sunday after the Saturday evening attack at her property in the Darling Downs region of Queensland state. One of the large males -- at least six-foot (1.8 metres) tall -- turned on her husband as he fed it, she told Queensland Ambulance Service. "Jim was on the ground and the kangaroo just kept at him. I went outside to try and help him and took a broom and a piece of bread but he knocked the broom out of my hand then attacked me," Smith said. The 64-year-old managed to get the roo off her husband and grabbed a piece of wood to defend herself, while her 40-year-old son "came out to try and help me and hit him over the head with a shovel". The kangaroo then hopped off back into the bush, Queensland Ambulance Service's senior operations supervisor Stephen Jones said, adding that the attack was "rare". "They are known to attack and can be quite vicious, particularly the large males. But it is something that is uncommon, something that I haven't come across in my 30-odd years in the service," Jones told AFP. He added that if Smith had not intervened to help her husband, who suffered multiple cuts and abrasions to his arms, chest and legs, he could have suffered more serious injuries and "the outcome may have even been death". Smith, who said she has been a wildlife carer for 15 years, added that she did not want the marsupial to be hunted down and killed. Calling what happened "an act of nature", Smith said she was always aware she was dealing with wildlife. "I am always careful, especially of the males. It's breeding time so they can be more aggressive. I don't want this kangaroo to be hunted down and killed, I love animals," she added. "I do understand what happened but I have never seen one that aggressive -- it was in there for a fight and it wouldn't back off." There are more than 46 million kangaroos across Australia according to a government count last year, but conservationists warn that population numbers are falling amid a long drought in the vast continent's east.